We’re less than 48 hours away from AMD’s official Ryzen Threadripper launch and the leaks just keep coming in hot. 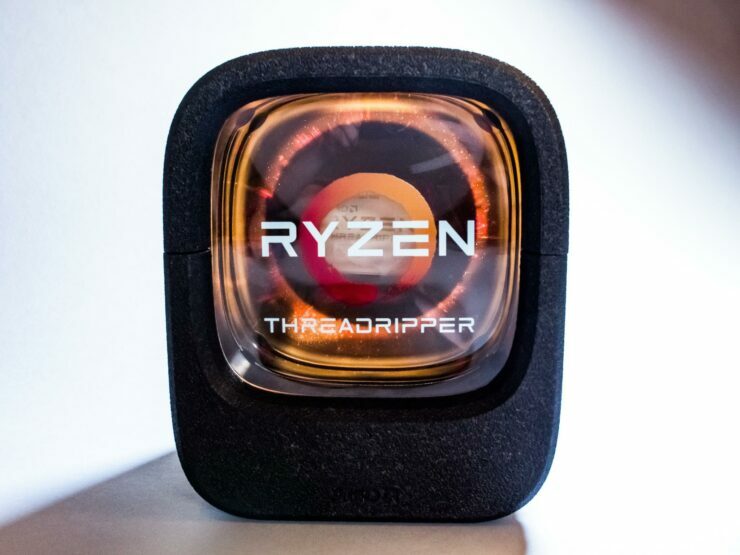 Fresh from the oven of leakery we bring you yet another set of mouth-wateringly tasty figures for the company’s upcoming Ryzen Threadripper flagship, the 16 core 32 thread 1950X. So without further ado, let’s dig in! 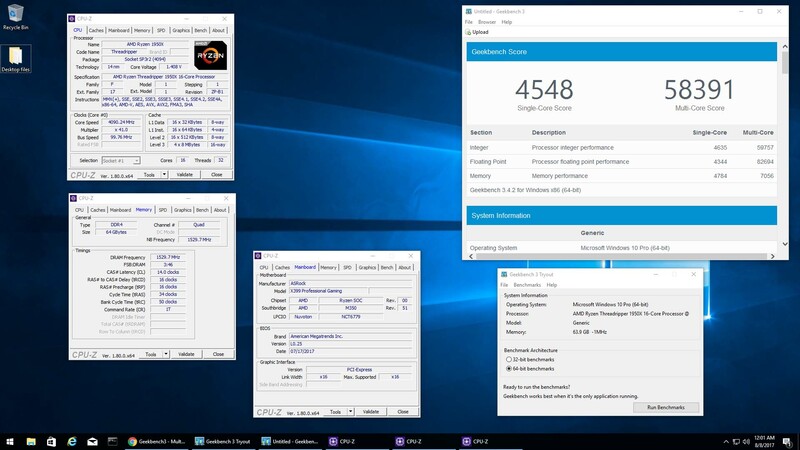 This leak comes courtesy of a redditor who has actually managed to get his hands on a 1950X early on and not only benchmark it but do so after overclocking it. 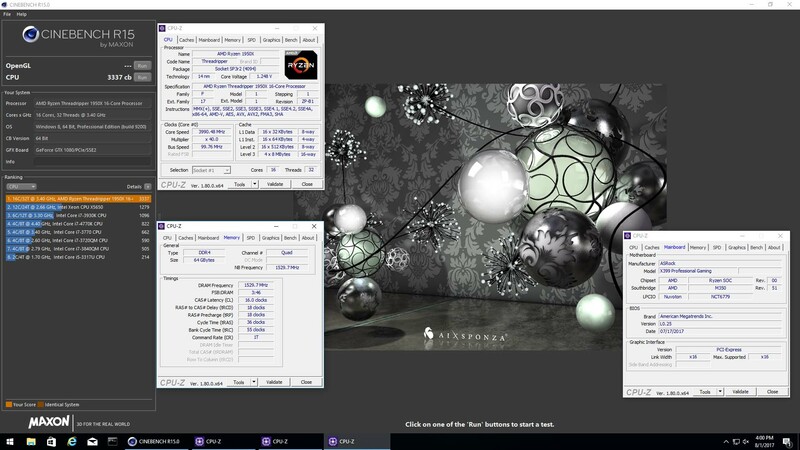 This is one of several reports we’ve seen as of late, indicating that Threadripper is, surprisingly, a better overclocker than mainstream Ryzen. The consensus seems to be that a 4.0GHz overclock on all cores is within reach on most Threadripper chips. The owner of this particular 1950X chip reported achieving 4.0GHz on all cores at 1.25v, with a Thermaltake 3.0 liquid cooler. That is simply unattainable by the majority of mainstream Ryzen processors at this voltage. The owner tested the chip once at 4.1GHz in Geekbench 3 and once at 4.0GHz in Cinebench R15. The motherboard he used is from Asrock, the precise model wasn’t specified. All 8 memory DIMMs were populated with 3066MHz DDR4 memory. Let’s start out with the Cinebench R15 result first. Here, the 1950X manages to deliver a whopping 3337 points with all sixteen of its cores running at 4.0GHz. By comparison a similarly priced Intel Core i7 7900X gets 2169 points at stock and maxes out at 2464 with a hefty 4.6GHz overclock. That comes out to a 35%+ difference when both chips are overclocked. Not even the world record Cinebench R15 run of the 7900X at 5.96GHz with liquid nitrogen cooling is enough to surpass Threadripper’s score. At 4.1GHz the figures become even more astronomical for Threadripper. The chip manages to score 58391 points in Geekbench 3. Which not only is by far the highest score for any desktop processor we have ever seen but also secures it a 37% lead over a 7900X overclocked to 4.5GHz which manages to score around ~42600 points in the same test. The Ryzen Threadripper 1950X is by far the most powerful desktop processor we have seen tested to date and once overclocked its performance jumps from the realm of very impressive to, there’s no better word for it, otherworldly. The embargo on Threadripper reviews goes up this upcoming Thursday and we can’t wait to see what else this chip can do.